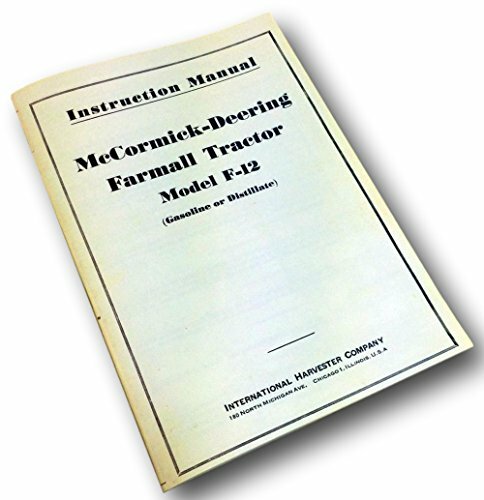 This McCormick Deering model W9 Gas, Kerosene and Diesel Tractor Parts Manual is a reproduction of the original factory-issued Parts Manual. 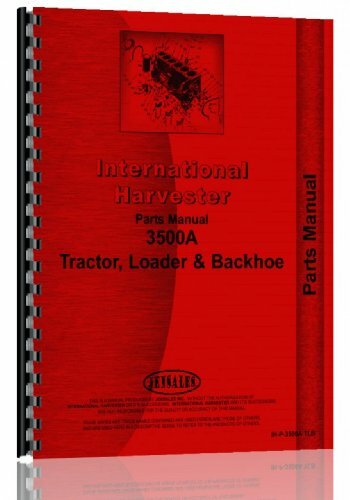 PLEASE NOTE: This is the correct manual for your McCormick Deering, although it displays International Harvester on the cover it is the correct manual for your model.It contains 410 pages of exploded drawings of your Tractor, detailed information on how to tear down your machine, fix and put it back together. The Parts Manual is an invaluable tool because it also includes the information and part numbers you require for ordering the right parts for your W9. This makes the process quicker and more efficient when ordering parts from us, or any other reputable McCormick Deering parts dealer. 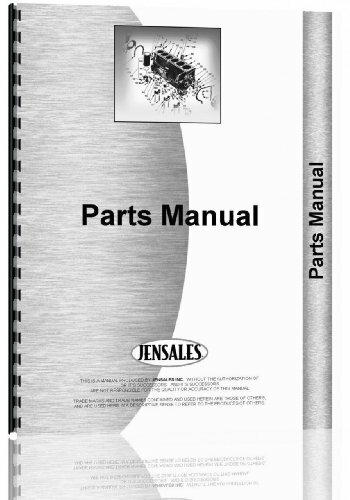 Even if you already own the Parts Manual and it is in great condition, our value-added content, like post-publishing updates, corrections, serial number info and more make this manual indispensable. 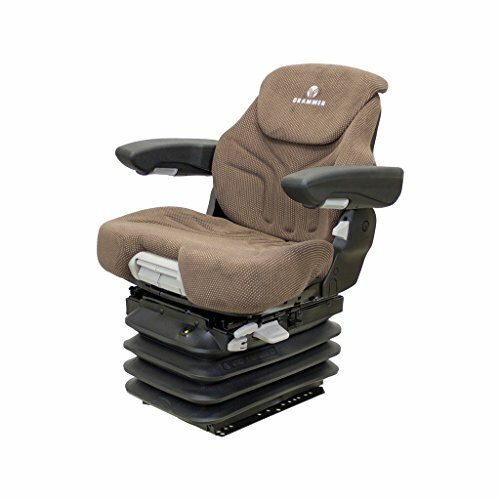 All Seats are aftermarket seats. OEM names and numbers are used for descriptive purposes onlyMade in USAIdeal for Multiple Agriculture & Construction Equipment: Case IH/IH/McCormick/Steiger and John Deere TractorsFeatures: Grammer MSG95 DDS/741 Seat Durable Brown Fabric covering Low-frequency Grammer MSG95G DDS (Dynamic Dampening Suspension) air suspension with 12-Volt compressor Self-contained 12-volt compressor which wires directly to the tractor's electrical system Plush, spacious cushions for maximum operator comfort 21.6" seat cushion width Adjustable backrest extension to extend and heighten comfort -10° to +34° adjustable backrest angle Seat depth and cushion angle adjustment Adjustable lumbar support to help prevent lower back pain Adjustable fold-up armrests Durable document box to store owner's manual and other valuable Passive climate control Fore/aft isolator to absorb shock 8.3" fore/aft adjustment Height adjustment of 3.1" Weight adjustment 3.9" suspension stroke 20° swivel Meets ANSI requirements and ISO specifications Includes a durable suspension cover to keep components free of dirt and dust. 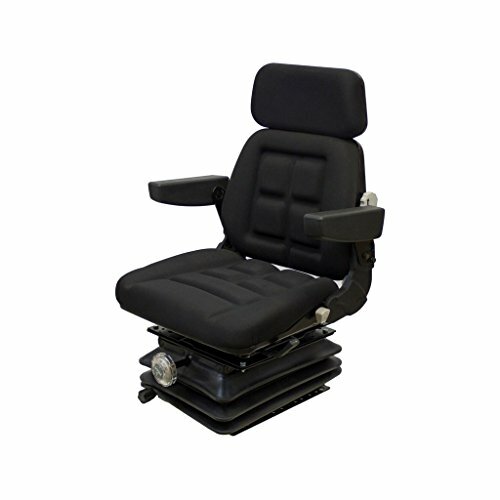 Please Note: The KM 1310 Uni Pro Seat & Suspension is comparable to the Sears Semi-Active Seat. This McCormick Deering model WD9, WDR9 Diesel Engine Service Manual (Engine Only) is a reproduction of the original manufacturer-issued Shop Manual. 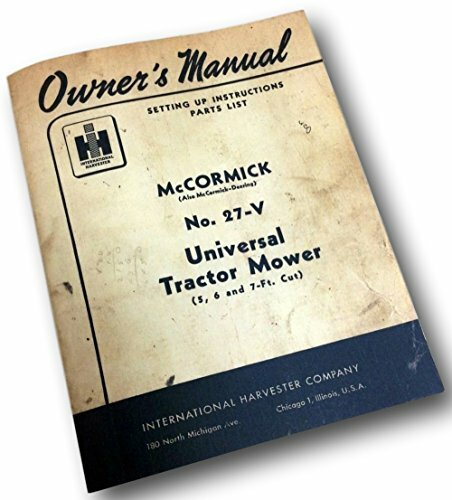 PLEASE NOTE: This is the correct manual for your McCormick Deering, although it displays International Harvester on the cover it is the correct manual for your model. 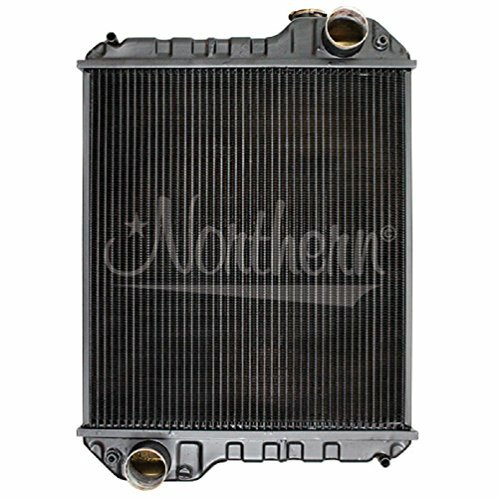 It has 188 pages of critical technical information and instruction for your Engine. Written in the language of a mechanic, it was initially provided to the dealer's service department to provide enough detail for major repairs and complete overhauls. It discusses how to correctly tear down your WD9, WDR9, fix it, and put it back together. This is an invaluable guide if you are doing or thinking of serious repairs or a full restoration. 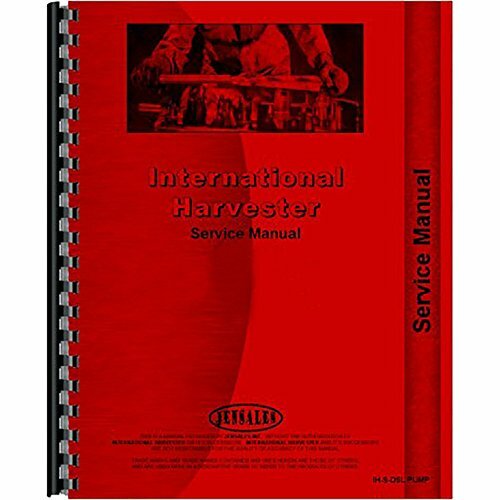 Even if you already own an original Service Manual that's in good shape, you will find our value-added content, such as post-publishing updates, corrections, serial number info and additional machine detail extremely useful. How i prepared some metal parts for a John dere tractor! If you liked this type of video please comment so i know what type of videos you would like to see on this channel. Going in the Massey Ferguson to repair / rebuild the clutch. Also replaced some transmission parts. 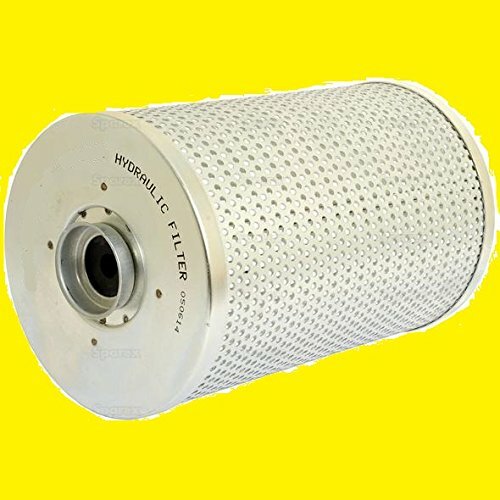 Compare prices on Mccormick Tractor Parts at ShoppinGent.com – use promo codes and coupons for best offers and deals. Start smart buying with ShoppinGent.com right now and choose your golden price on every purchase.